Predictive Maintenance Thermal Imaging Surveys with Powerpoint Engineering Ltd. In addition to utilising Thermal Imaging Surveys for Predictive Maintenance reasons, more Insurance companies now insist on you carrying out infrared surveys of your buildings before they will provide building insurance cover for you. 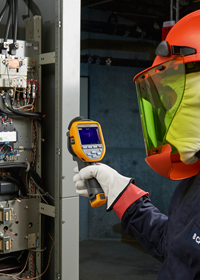 With our team of in-house certified Thermographers, we offer a nationwide service and can provide you with the necessary Thermal Imaging Survey in a professional, prompt and cost efficient manner. To learn more about our Predictive Maintenance Thermal Imaging Surveys, or to arrange a booking please contact us today.